Express your deepest sympathy to those who've lost a loved one. We often find it difficult to express just the right sentiment and condolence when someone has lost a loved one. 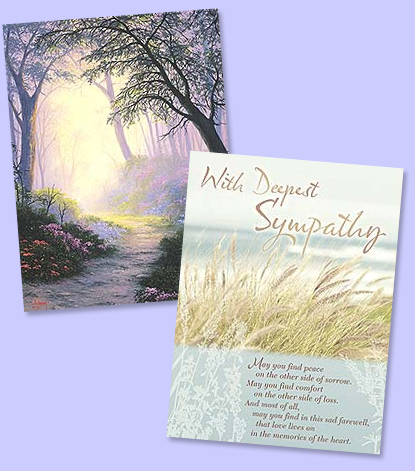 Sending a beautiful and thoughtful sympathy or condolence card is an ideal way to show how much you care. Whether you choose to share a personal memory or simply express a sincere "heartfelt sympathy for your loss," you'll find just the right sympathy card to bring peace and comfort to a friend or loved one during their time of grief. 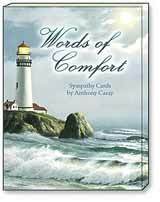 Looking for the right words to write inside your Sympathy Card? Browse our suggestions for ideas! Also see our Encouragement Greeting Cards to help those struggling through tough times.